Your mother always told you not to play with your food. Well, this Halloween, Campbell's Soup is telling you the exact opposite. 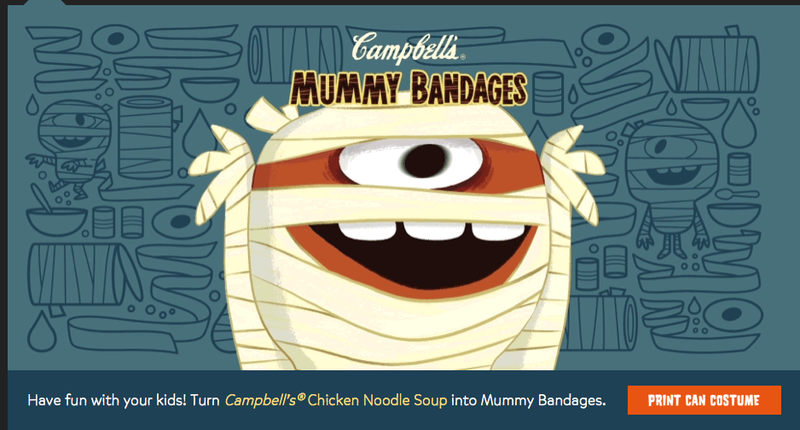 On their Can Costume site, kids can print out a variety of ghoulish labels designed to fit their favorite Campbell's soup can. The result? It'll look like you're hoarding cans of Mummy Bandages and Mad Scientist Potion instead of Chicken Noodle. Just watch out for the MSG - pretty spooky stuff.